What promise does the modern hold for artists, architects, designers, social and cultural thinkers? Or is our contemporary fascination with modernism merely nostalgic—a doomed attempt to reconstitute something that has passed? What does modernism mean for the present? How can we even critically reflect upon such questions if we are still living within modernity? These and other questions were debated by a panel of speakers in the first of a new series of discussions designed to engage key topics galvanising thinkers and practitioners. Speakers included: Artist Lisa Crowley, film theorist Minette Hillyer (Victoria University of Wellington), art historian Ann Stephen (University of Sydney), design historian Christopher Thompson. Chair artist Gavin Hipkins. What status does the reconstruction of an original art work have? If it is not an authentic artefact, then can it have value? Is it indeed an artwork? Why is there a need or desire to reconstruct, and what kind of relationship to the past does it enable? How does our contemporary impulse to make things over tally with a new need for resourcefulness in addressing questions of sustainability? These and other questions will be debated by a panel of speakers in the second of a new series of discussions designed to engage key topics that are galvanising thinkers and practitioners. Why are so many contemporary artists treating acts of rehearsal as the basis of their practice? Why has there been a re-examination of performance art histories recently? What is the relationship between the repeated act and an ultimate act? Could the interest in rehearsal be a reflection of online modes of communication, where the self is continually performed and identity perpetually edited? Speakers include: Artist Alex Monteith, theatre theorist David O’Donnell (Victoria University of Wellington), curator Helena Reckitt (Goldsmiths, University of London). Chair artist David Cross (Massey University Wellington). As the final forum in the series, this discussion brings the conversation closer to home. Reviewing the fervent interest in community driven endeavours and creative pursuits, this discussion will question if ‘the local’ did indeed ever leave us. What are current understandings of the local, and how does the re-instatement of this term respond to the politics of globalisation? Is the return to the local an opportunity for post-colonial theories to be re-called? What are the economic drivers and environmental factors that are influencing this ethos? 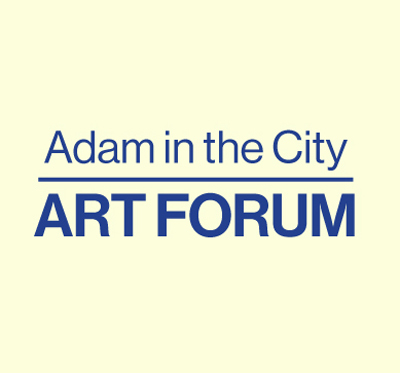 The Art Forum 2011 series is a collaboration between the Adam Art Gallery and the City Gallery Wellington.